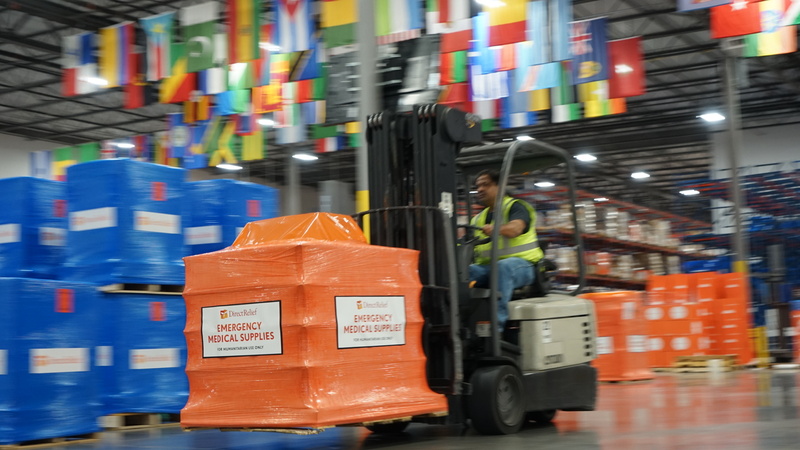 More than two dozen pallets of critical medicines provided by Teva Pharmaceuticals recently left Direct Relief headquarters to support health centers treating communities impacted by the Kerala floods in India (photo: Tony Morain, Direct Relief). In honor of Cervical Cancer Awareness Month, Direct Relief is highlighting its partner The Children’s Clinic in Long Beach, Calif. for their forward-thinking approach to cervical cancer prevention and care. Last fall, The Children’s Clinic received a $100,000 award as one of this year’s BD Helping Build Healthy Communities award recipients. The program is a multi-year initiative, funded by health care company, BD, and implemented together with Direct Relief and the National Association of Community Health Centers (NACHC) to provide grants to health centers that are delivering innovative models for specific areas of care. The Children’s Clinic is a Federally Qualified Health Center (FQHC) with eight sites throughout Southern California that focuses on helping people who are underserved, low-income, or uninsured – populations that suffer a disproportionate number of deaths from cervical cancer. The grant will help expand their Women Wellness Health Care Program which aims to help women access cervical cancer screening and diagnostic services, among other OB/GYN services offered by the program. According to the Centers for Disease Control and Prevention, deaths from cervical cancers could be avoided if cancer screening rates increased among women at risk. The disease is highly curable when found and treated early. Expansion of the Women Wellness Health Care program is especially critical in the Long Beach area, where the Long Beach Department of Health and Human Services reports only 44 percent of adults reported having heard of the HPV Vaccine for the prevention of cervical cancer. Additionally, nearly one in five women 18 years of age and older had not had an age-appropriate Pap smear – one of the most reliable and effective cancer screening tests available. In 2012, The Children’s Clinic provided services to more than 8,600 women, of which nearly 2,400 were screened for cervical cancer. Staff said the grant money will be used to help them reach their Healthy People 2020 goal of screening 93 percent of women seeking services. They will do this by increasing staff capacity and training as well as providing health education to at-risk women around the importance of early detection. Direct Relief is privileged to work with BD and NACHC in supporting health centers like The Children’s Clinic that are providing critical health care and support services for the nation’s most vulnerable communities.